One of my greatest faults is that I sometimes fall victim to fashion and beauty hypes, which is so annoying because I can be really snobby about these kinds of things and would like to think that I’m above all of that clever marketing! But in all honesty, I’m not – and one of the latest things that I have become obsessed about are lip kits. Kylie Jenner’s lippies have admittedly got me highly intrigued, but it was this article on US ELLE (which coyly hints that Kylie may have been ‘inspired’ by this brand when launching her infamous Kylie Lip Kit) that made me desperate to try Los Angeles beauty brand ColourPop. But getting my hands on ColourPop’s pretty and super cheap lip products was not a straightforward process, as ColourPop do not deliver to the UK. However, I found a way to do this (Gateway.com if you’re interested) and at the beginning of last month I finally got ColourPop delivered to my doorstep! I was cautious and ordered a total of four products – Avenue Ultra Matte Lipstick, Lady Pencil, Bichette Lippie Stix and Bichette Pencil for $5 USD each. Guys, overall I am delighted – read along for my thoughts! Just to clarify, I’m sharing pictures taken with my SLR camera and my phone – the ones taken with my phone have a filter but I’ve left the other ones completely unretouched for you guys to get as accurate an impression of these shades as possible. Even though I think it’s fairly obvious, I’ve indicated which are the filtered pictures. Clockwise from top left: ColourPop Pencil in Bichette, ColourPop Lippie Stix in Bichette, ColourPop Ultra Matte Lipstick in Avenue and ColourPop Pencil in Lady (Filtered Image). As I love lip liner I took ColourPop’s recommendation and grabbed Lady Pencil to match it with Avenue – annoyingly though when I took the top off this lip liner I found it to be already flattened down! So disappointing! 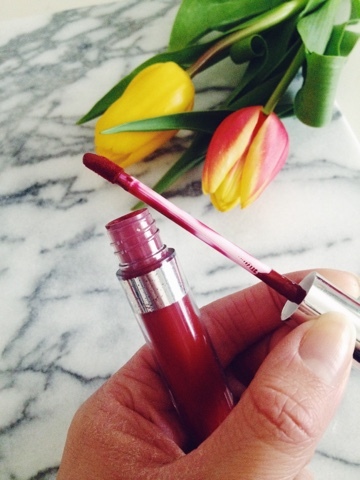 This is my first time ever trying matte lipstick – it’s so new to me! I’m definitely more of a shiny lips person but, I think I do love this shade. As I mentioned in my previous beauty post about my new Revlon lipsticks dark lip shades aren’t for me, so this is as dark as I’ll go. In a way I’m still getting used to this shade, as sometimes I feel I look very Gothic with it (friends have said it to me too!). Unfortunately as I have naturally dry lips this formula is very drying on my lips, so I’ll probably just save it for evenings. These pictures were taken yesterday and as my Lady pencil is now pretty much unusable (even though it was very flat on arrival I did manage to use it a few times) I matched it with my Bichette pencil, which I think also works wonders with it. Now, let’s talk about this Lippie Stix. Firstly, I don’t have much interest in packaging (I just want the product to do the job) but I love how it’s like a marker – it reminds me of my childhood and how I loved colouring with markers. 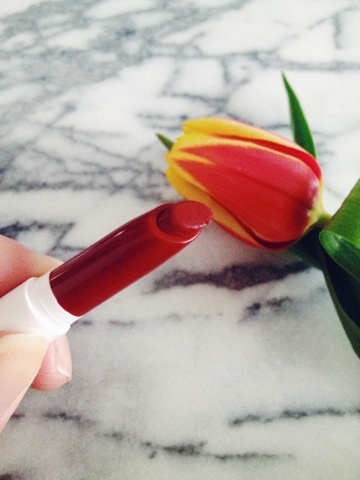 Secondly, I am obsessed with the smell – I love scented stuff and this lipstick smells divine. Finally, I absolutely love how it looks on. 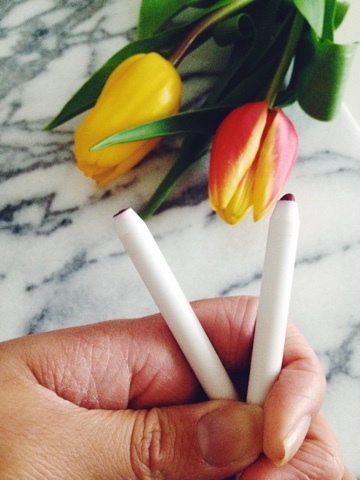 This Bichette pencil is one of those lip liners that, like my Mac lip liner in Brick, seems to be incredibly versatile – I love it to bits. I took this picture of it a few weeks ago and unfortunately it’s now sadly almost unusable, so I might have to look for a British dupe. 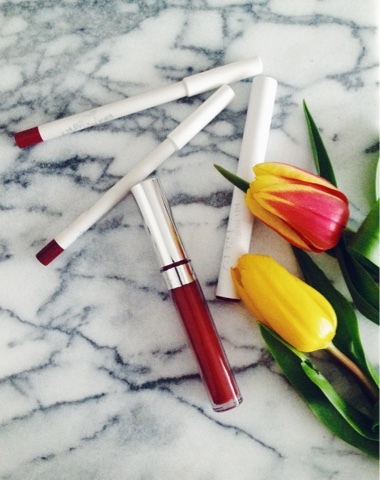 These pictures of Bichette lippie stix together with Bichette pencil are from last week (#ootd post coming soon!) and I have no complaints about these products, I am in fact obsessed with them. I love the deep red hue and don’t find the formula particularly drying. My main issue is the fact that these pencils have such a short lifespan. I would replace them straight away if UK delivery were an option – I really, really hope that ColourPop start selling in the UK soon, as it’s sadly just so costly to get them sent over here. I’m not sure if I’d purchase more matte liptsicks (just for the sake of my already dry lips) but I would totally overdose on the brand’s lippie stix (I’m having to stop myself right now from going bananas). A big bonus for me is that most of ColourPop’s products are vegan and I’m finding both of these lipsticks fairly long-wearing. So you American ladies are very lucky to have such great products at your disposition – I think it’s really good value for one’s money. I myself don’t know if I’ll be strong enough to wait until ColourPop stocks in the UK!